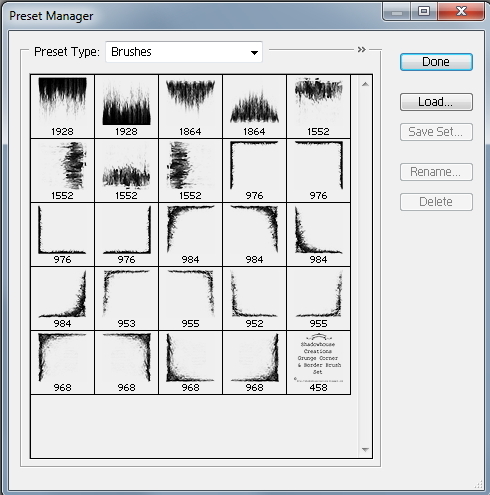 brushes, which can be seen in the image posted below taken from the Preset Manager. 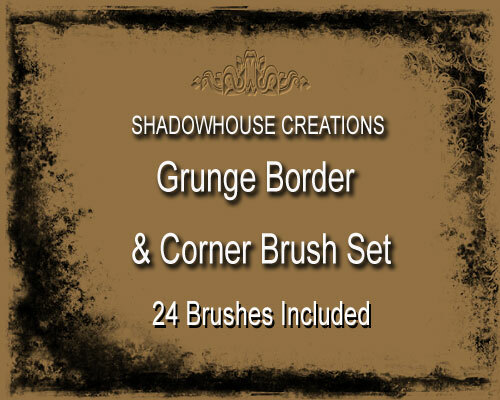 versions of Photoshop and PS Elements. Hope they can be of some use. Thanks again, Jerry! These look cool! Ooooooo thanks so much for sharing Jerry! Thank you for visiting! I hope you do get a juicer too! These are great, Jerry. I especially like the corners. Thank you. Thank you for these, Jerry...I love them. Thank you so much for this post. I want to let you know that I posted a link to your blog in CBH Digital Scrapbooking Freebies (please, notice the new url for my blog), under the Page 4 post on Jun. 23, 2012. Thanks again. These are fantastic. Well worth looking at. Love these borders. Thanks, Jerry. Thank you so much. All of your work is beautiful. Thanks Jerry! These look wonderful! These are great, Jerry! Thank you! I love you for making these in Photoshop 7 so I can use them as well. Thank you. These are fantastic...so wish I could use them in PSP. Love these, thanks a million for sharing your talent! Thanks Jerry, can't wait to try these out!